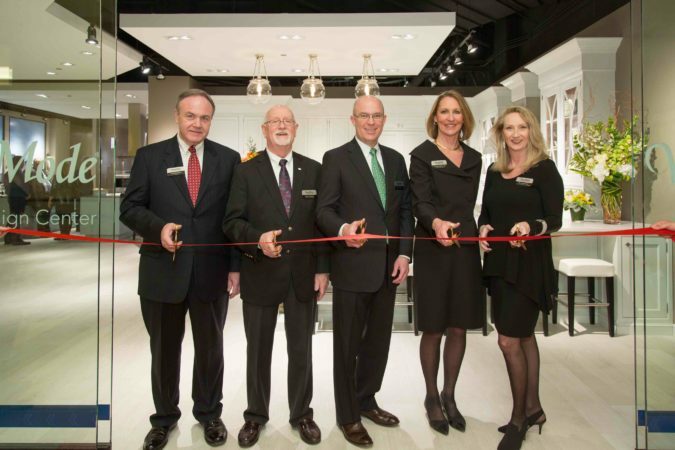 When is a showroom opening more than a party? When it transcends a one-time event and becomes the springboard for multi-channel marketing strategy while serving as a catalyst for prolonged engagement opportunities. That’s exactly what Stoner Bunting Advertising did when it helped two clients launch luxury design centers in the historic Chicago Merchandise Mart. 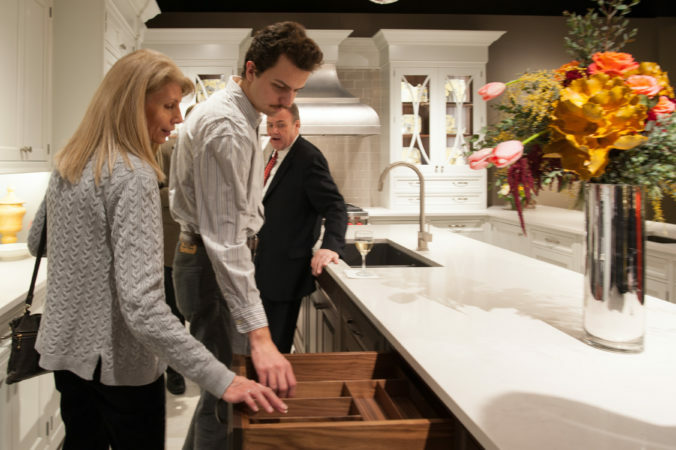 As the nation’s largest manufacturer of custom cabinetry for kitchens, baths and other rooms of the home, Wood-Mode lacked a flagship design center to showcase its lifestyle concepts. 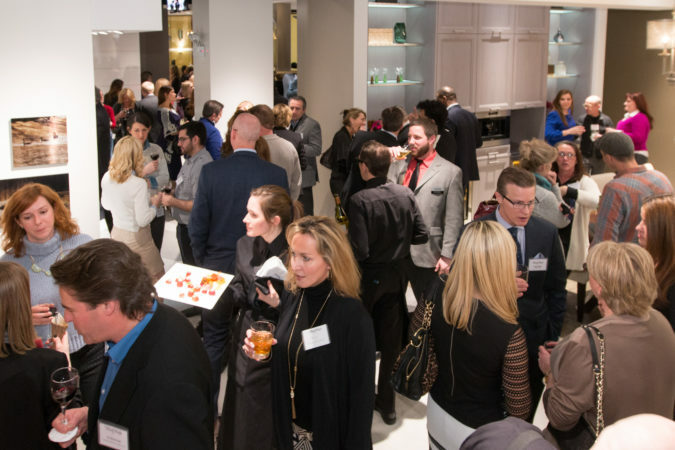 While Wood-Mode products are sold through dealer networks throughout the United States, the brand needed a space to connect with homeowners, designers, architects, builders and trade professionals. 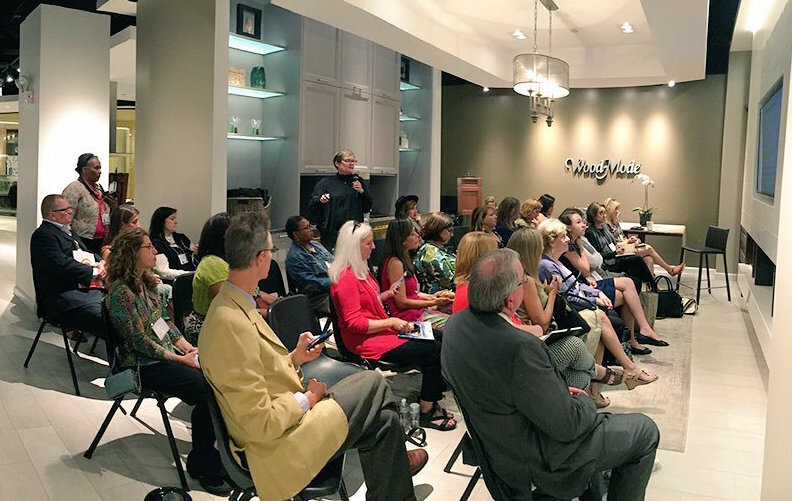 After years of strategic planning, Wood-Mode opened the doors of its first ever Lifestyle Design Center in 2015. 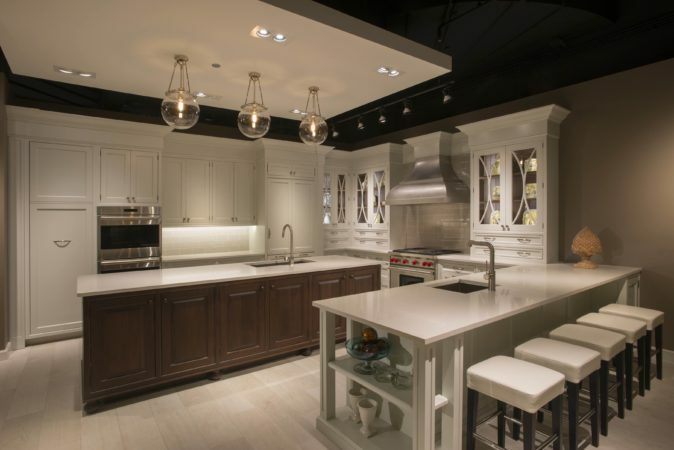 The inspirational space, located in LuxeHome at Chicago’s historic Merchandise Mart, serves as a showcase for the brand and exudes the quality craftsmanship and attention to detail that has made the company so successful over the past 70 years. Stoner Bunting helped plan a grand opening celebration, and leveraged our relationship with the press, editors, dealers, representatives, company executives, architects and taste makers, to bring together some of the best creative minds in the Chicago area. The result signaled the start of a wonderful new era for the Wood-Mode brand. The event acted as a springboard, introducing the A&D industry and public to the center. In addition to Wood-Mode’s new physical presence in Chicago, its digital footprint was also expanded. A new microsite was developed to support the location and drive physical traffic to the space by showcasing products and design galleries. It also provided a convenient way to schedule a private tour with a design consultant. Since its launch, the Wood-Mode Lifestyle Design Center has been an important part of the brand’s integrated marketing initiatives. It has played host to countless industry events, book signings, private tours, competitions, CEUs and more, all supported with digital and social media tactics. 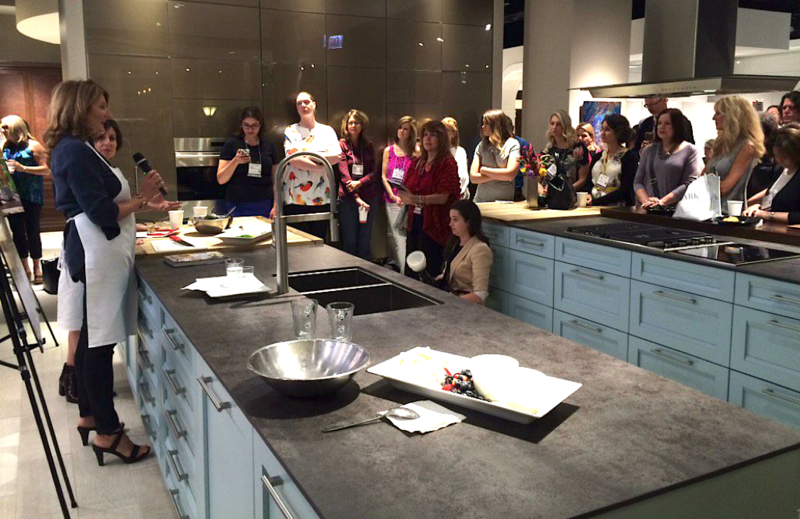 Designer Kathryn Ireland and Luxe Interiors & Design Editor-in-Chief Pam Jaccarino host a book signing and cooking demonstration during Design Chicago. Interior Design Vice President Pam McNally speaks on the digital future of branding during a presentation at NeoCon 2016. Wood-Mode continues to innovate and move the design needle forward, and the center will allow it to share this design excellence with the general public in new ways. Walk out of the Wood-Mode Lifestyle Design Center, hang a right, catch the elevator to the 11th floor, and you’ll find another Stoner Bunting client in the Merchandise Mart. 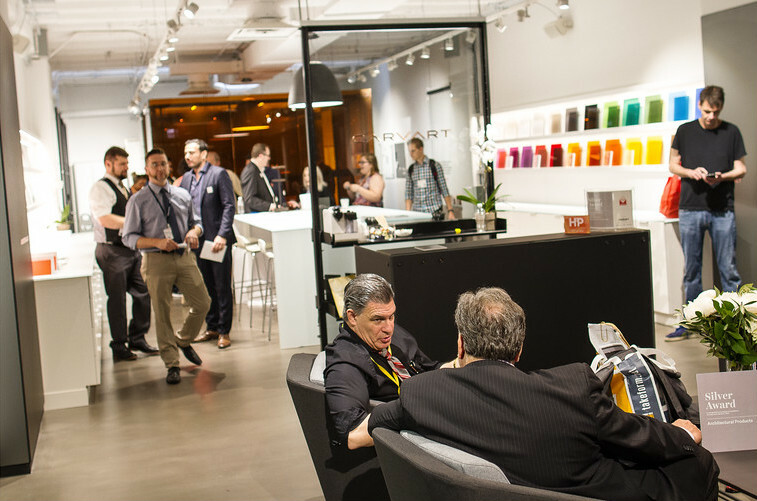 CARVART, the New York-based architectural and contract glass manufacturer, launched its first permanent Chicago showroom during NeoCon 2017. 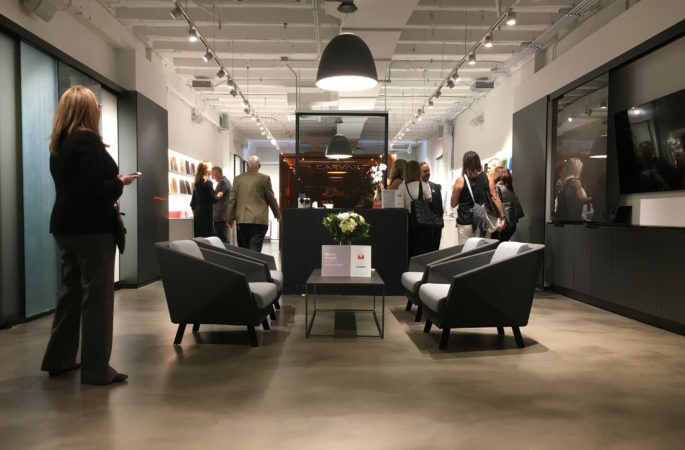 Hot on the heels of its new Manhattan design center and global headquarters, the flagship space opened on the eve of the show and represents the brand’s dedication to one of America’s leading design cities. 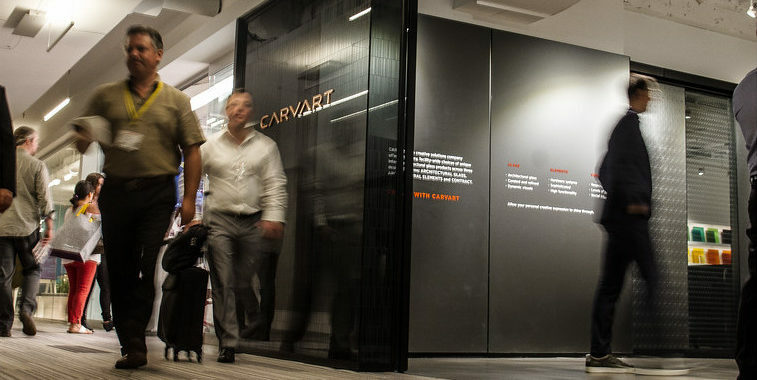 It also cements CARVART’s place as a leader in glass products for commercial interior design, as it is one of the few companies in its category to have a permanent showroom in the Merchandise Mart. Stoner Bunting wanted to create a memorable takeaway for design studio guests during NeoCon. Lighting designer and Stoner Bunting friend Stephen Pikus immediately came to mind as an ideal partnership. Known for his use of recycled, repurposed and renewable materials like sea glass, he has designed custom pieces for the likes of Donna Karan. Pikus provided “found” glass in a variety of shapes, sizes and colors for the event. 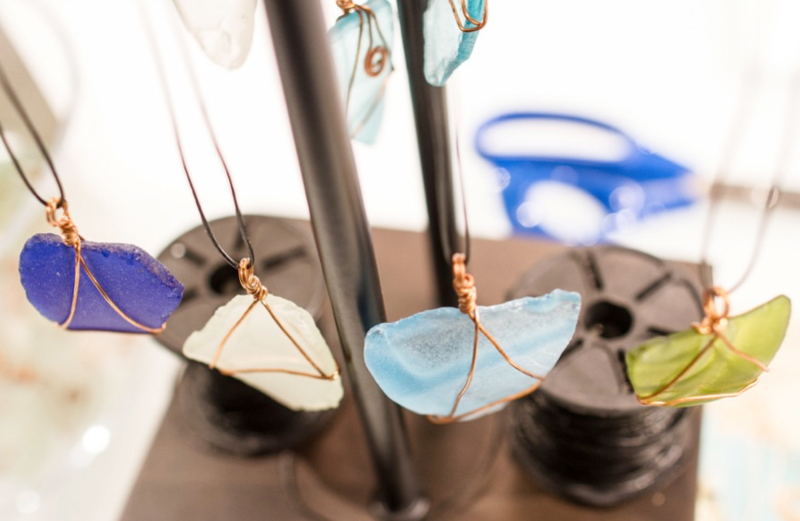 Attendees were invited to make necklaces with the recycled glass pieces, which served as a unique keepsake with an important, socially driven backstory. At Stoner Bunting, showroom openings are more than just a party. They play an important role that fits into a full range of seamlessly integrated marketing disciplines. 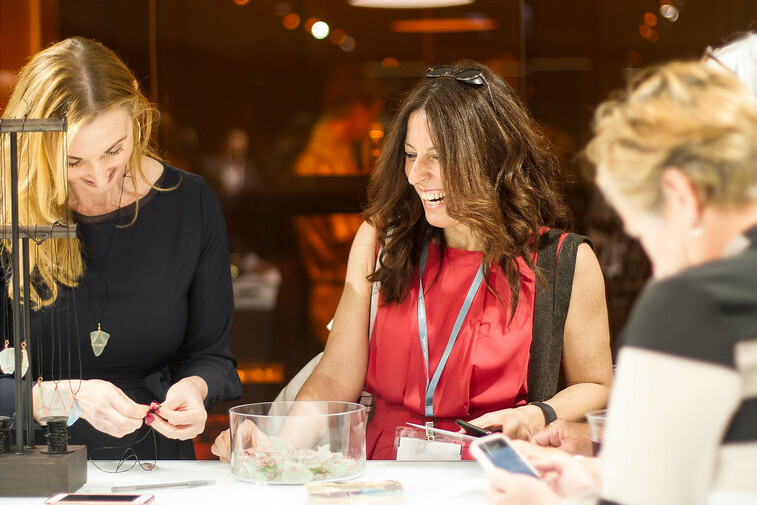 Through face-to-face contact with designers, editors, designers and other visitors at these types of events, we are able to focus on keeping your brand story relevant to each target as we help you strategize, organize and execute with efficiency. Are you interested in throwing more than a one-time party? Get in touch with us to learn how we can turn your next showroom opening today into a long-term hub for designer engagement.